Collegiate head coaches Tad Boyle of the University of Colorado, Jim Kessler of Grace College (NAIA) and Matt Matheny from Elon University today were announced as court coaches for the 2013 USA Basketball Men’s World University Games training camp. The USA Basketball Men’s Junior National Team committee made the coaching selections. The three court coaches will assist the 2013 USA Basketball Men’s World University Games coaching staff during the June 24-July 1 training camp at the U.S. Olympic Training Center in Colorado Springs, Colo. The USA men at the 2013 World University Games, which will be played July 6-17 in Kazan, Russia, will be led by Davidson College’s Bob McKillop, and assistant coaches John Beilein of Michigan and the University of South Carolina’s Frank Martin. Organized by the International University Sports Federation (FISU), the World University Games is a multi-sport competition open to men and women who are between the ages of 17 and 24 (born between January 1, 1989 and December 31, 1995), and are or have been within the past year, a student at a college or university. In 36-years at the helm of Grace’s basketball program, Kessler has proven to be one of the top coaches in the nation, producing 679 career wins. 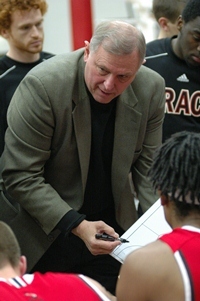 Having enjoyed 15 20-win seasons and three 30-win seasons during his time at Grace, most recently Kessler led the Lancers to a 24-10 record and a trip to the 2013 NAIA Division II National Championship semifinals.